Vol. 24, 2019: 304 Pages, Plates 212 B/W and Color 53; Size 11" x 9"; Tk. 1500/ US $ 45. Vol. 23, 2018: 304 Pages, Plates 278 B/W and Colour 78; Size 11" x 9"; Tk. 1500/ US $ 45. Sarita Khettry: Buddhism in Early Pundravardhana. Noman Nasir: Iliyas Shah’s Expedition on Tirhut: Numismatic Evidences. Joachim K. Bautze : The Calcutta Cyclone of 1864: The Pictorial Evidence . Madhuparna Roychowdhury: Making Archaeological Site Museums in Early Twentieth Century India: glimpses form Sarnath and Khajuraho. 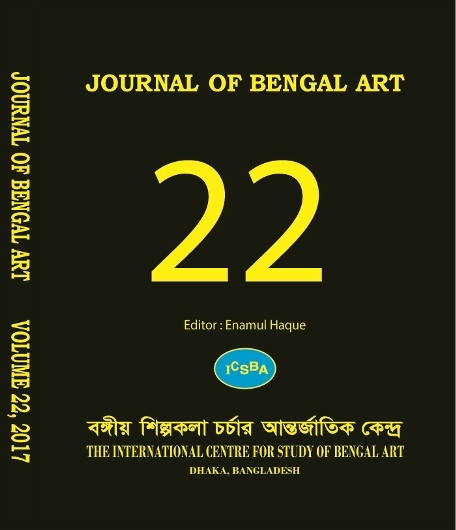 Vol 22, 2017: 300 Pages, Plates 112 B/W and Colour 78; Size 11" x 9"; Tk. 1500/ US $ 45. Vincent Lefèvre: Rāmapāla, Rāmāvatī and the Last Glory of Mahasthan. 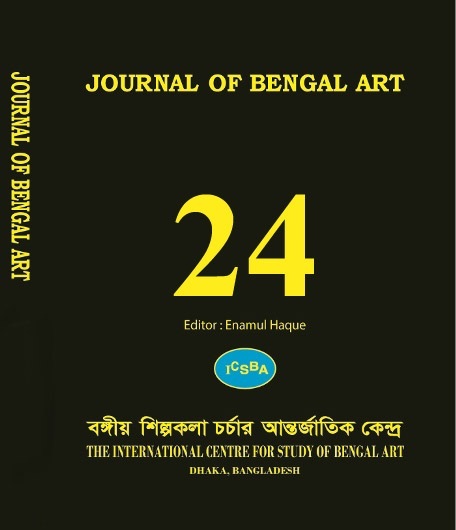 Yusuf Siddiq: Notes on Some Later Arabic and Persian Inscriptions of Bengal. 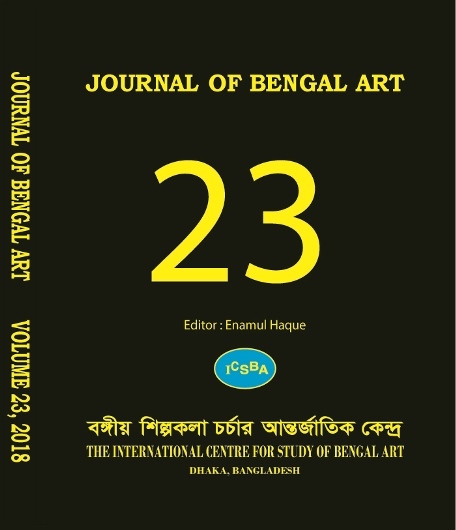 KumKum Bandyopadhyay: Recent Study of the Sculptural Remains from Bela, District Gaya, South Bihar. Dev Kumar Jhanjh: Reconstructing a Sacred Site: A Story of Temple Building, Political Rise and Some Brāhma]a Governors of Gaya.